Robert E. Howard Days: Howard Days is Next Week! Howard Days is Next Week! NEXT WEEK IS HOWARD DAYS!!! Project Pride and Cross Plains are in the process of putting a final shine on both the town and the Robert E. Howard Museum. And there's still time for you to plan to attend! If you're planning on coming down (or up) for all the festivities but still have not pre-registered for the Friday night Banquet, please do so right away. Project Pride needs a close head count so they know how many dinners to have ready. You certainly don't want to miss the great Texas chow or the bidding at the Silent Auction! So, if you've procrastinated until now - there's still time. Banquet seats are $15.00 per person and you can still send it to Project Pride, POB 534, Cross Plains, TX 76443 or you can Pay Pal it to ProjPride@yahoo.com. Howard Days is host to all things Howard! 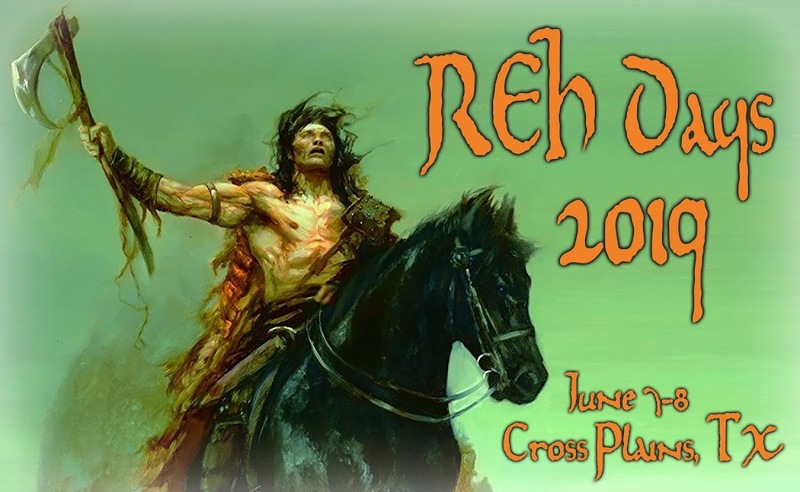 Panels, discussions, tours, awards, special guests, cookouts, an auction, a swap meet, a gift shop full of Howard stuff - all this and more can be found June 12-13 at the Robert E. Howard Museum in Cross Plains. 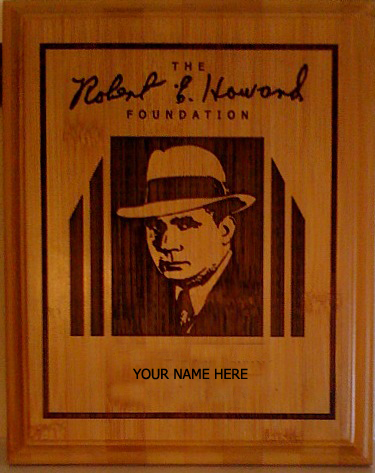 Of course, even winning one of these coveted REH Foundation Awards can't compare to the Howard Fellowship you will find there. Hope you see y'all there!